Using a sole Aprilia ART racing machine last season, Paul Bird Motorsports is looking to double-down with the Italian V4 power plant, though for 2013 the British team will split its time between continuing to develop the Aprilia ART with Yonny Hernandez on-board, as well as developing its own racing platform for Michael Laverty. 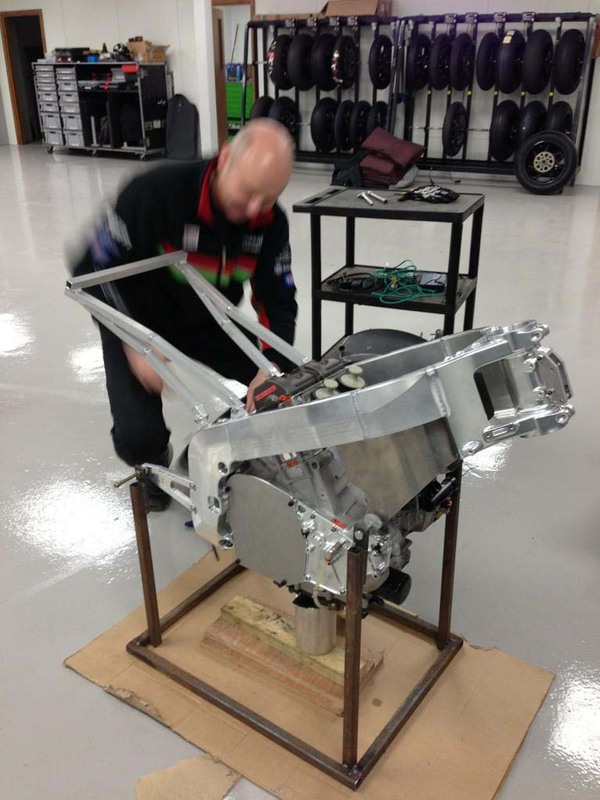 Building the PBM-o1 with the help of chassis-builder GPMS, PBM will have Laverty also ace with an Aprilia RSV4 engine between his legs, though the rest of the machine will differ from his teammate’s more “factory” machine. 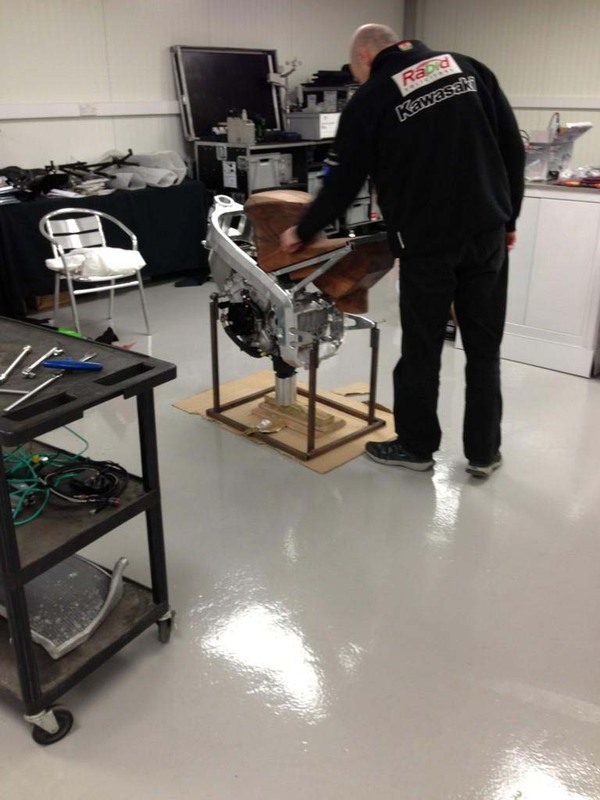 Teasing out the first pictures of the PBM-01 chassis by GPMS, Team Principal Paul Bird has teased out some pictures of the team’s new GP chassis with the V4 motor mounted. Deciding to build its own racing chassis is an interesting move for PBM, as the Aprilia ART was the most successful CRT package last year in MotoGP. However, it is worth pointing out that the Aprilia ART only saw success while in the hands of the well-financed Aspar team, while in the hands of PBM and Speed Master (two teams with plenty of racing experience), the ART’s results were mixed, at best. Always a factor at play, costs are likely at work here with PBM and the GPMS chassis. Aprilia already has a strong reputation from the two-stroke era for charging a small mint for the very best versions of its racing machines, a price PBM and Speed Master surely declined to pay, but a cost Team Aspar has weathered many times before in GP racing. Likely looking for more bang for the buck, PBM could see developing its own bike as a better route for the team. Though before being officially let go from the team, James Ellison shed some interesting light on PBM’s lack of testing ahead of, and during, the 2012 MotoGP season. We will have to wait and see how 2013 pans out for Laverty and the Paul Bird Motorsport team.